When you work in a busy, loud environment on a day-to-day basis it’s easy to forget how dangerous the conditions can be. With wheeled trolleys and racks creating noise levels of up to 107dB and levels of 100dB common in the milling, drink production and meat industries, it’s no surprise that employees are suffering from extreme noise at work. In the UK it’s estimated that around 17,000 people suffer from deafness, or other serious hearing conditions, caused by excessive noise at work. 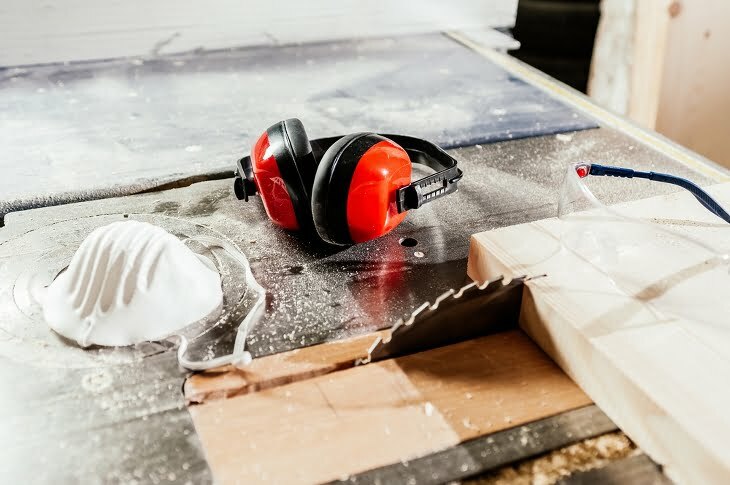 Whether you work around noisy tools or machinery, work with explosive sources – such as detonators or guns, or you’re subject to noise from impact tools on a regular basis, you’re likely to be at risk. The impact of these noises cause damage to the hairs and nerve cells in the cochlea part of your ear. As the cochlea is responsible for sending sound signals to the brain, damage in this area means sound isn’t transmitted as efficiently and hearing problems can occur. The problem with hearing loss is that it happens slowly, over a long period of time. It’s important to be aware of the early symptoms so that you can take measures to better protect your hearing before the damage gets any worse. Early symptoms include difficulty hearing others; difficulty listening to the TV or radio at a regular volume; finding it hard to determine which direction noise is coming from; and feeling tired from concentrating on listening. Tinnitus can be a deeply frustrating condition that can affect you day and night – even in the quietest of conditions. Often described as ‘ringing in the ears’, symptoms include buzzing, humming, hissing and whistling – all heard internally rather than from an outside source. If it is absolutely necessary that you work in a noisy environment, ear defenders should be provided by your employer and worn at all times. Hearing Protection Zones should be marked clearly and information and training on hearing protection should be given to all staff. You should also try and minimise your time around noisy equipment by taking regular breaks. In addition, headphone use should be avoided directly after exposure to loud environments. If you’re concerned about the noise level in your workplace, ask your employer to conduct a Noise Assessment. This will allow them to analyse the risks and take steps to prevent or control any noise that could be potentially damaging to employee health. Noise reduction should also be a priority over giving people PPE.